Listen live and video stream at MOR1019.com. The station has had many incarnations since its inception, but whatever brand or monicker it landed into, the station remains to be the top rated in the industry. 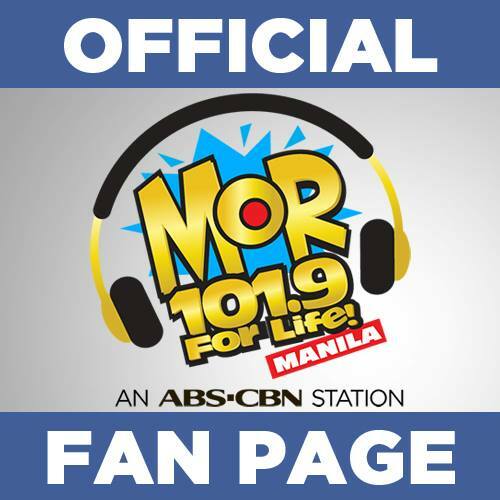 Visit www.mor1019.com. It had gone through massive face lifting from being an AC station or love songs, to light rock, to high end Top 40 station and now the leading masa station as . They proved to be a strong brand as it was a consistent top rated format in its provincial stations, in Davao and Cebu particularly. So the network wasted no time to adapt My Only Radio and this was also the chance to bring back its popular catch phrase. Among its most popular programs is DEAR MOR. Unlike other similar program formats, this program moves away from the traditional letter reading or advice giving approach, they bring in experts in the field of spirituality, legal and pyschology. And they also do away with the unwholesome approach of other call in, advice based programs which includes sensualities. Congrats to you for a job well done. HELLO GOOD DAY. KINDLY PLAY "DI KO LANG MASABI" BY KISSES DELAVIN. THANK YOU. pkibati nman ang pusa namin..
pwede mg request "One Call away"